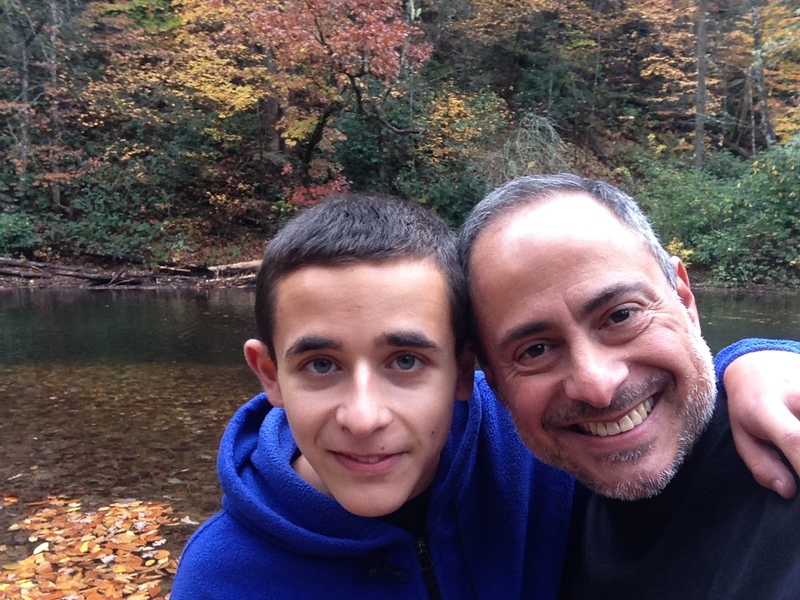 Me and Nicholas in Pisgah National Forest on Sunday. I had a running commentary with a younger friend this past year about how very old I am. 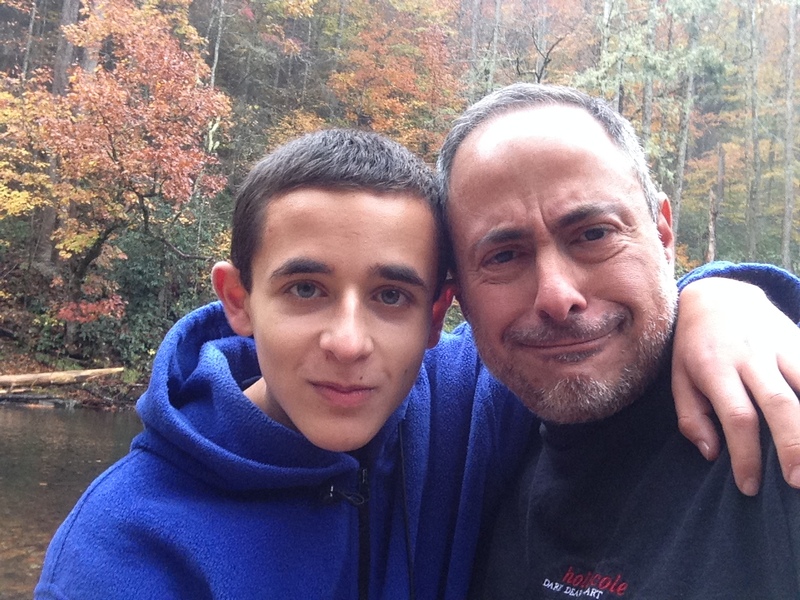 But for much longer it has been a running commentary with my son, Nicholas. Tuesday night we had a staff meeting for work at the bowling alley Sky Lanes in Asheville, followed by Favilla’s pizza and, obviously, bowling. Nicholas joined us midway. I called over Nicholas, so he could deliver his line. He was smiling ear to ear but didn’t say anything. 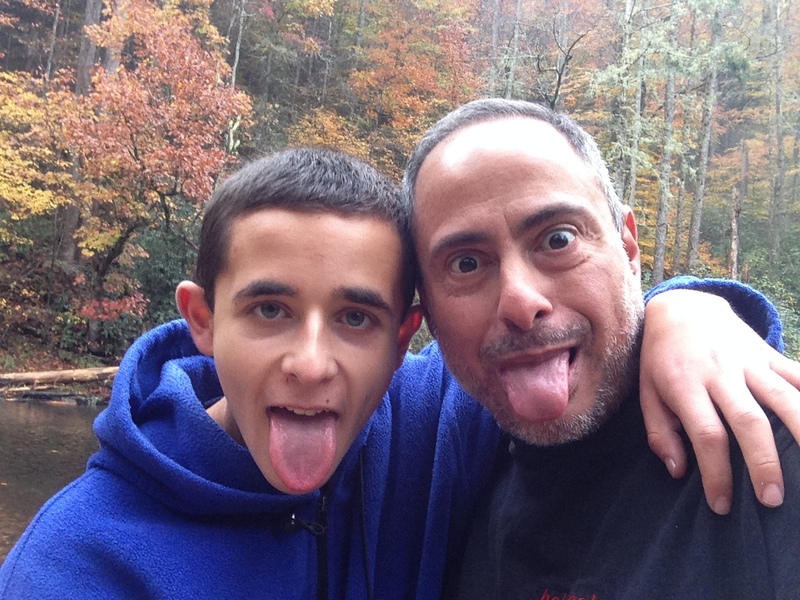 I love the subtle shift of father and son evolving and accepting change. And Nicholas is becoming a gentleman and a man. Wonderful.